A good night’s sleep is the best gift you can give your self to kick start a brand new day in the best possible way. And for a pleasant and sound sleep there are three things you need to keep in mind – a meal two hours before you hit the bed, clearing your mind from any trace of negative thoughts and last but not the least, a comfortable mattress. Where the first two can or cannot be controlled based on the circumstances and your will power, the option for resting on a good mattress is completely in your hands. 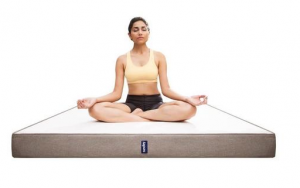 Let’s take a look at some of the best Indian mattress brands in the market that you can buy online and tick off one hurdle to a good night’s sleep. Much before other players entered the category of branded mattresses, Kurl-on ruled the show. Giving a stiff competition to the unorganized players, Kurl-on went on to introduce mattresses suiting the budget of an average Indian home. This mattress from Kurl-on is a tad expensive but then the name commands a price and they most certainly do justice to it too. Certified by Hosmat hospital, this is a specially crafted orthopedic mattress designed to take care of spinal and back problem. After a hard day’s work, make sure to give your back the rest it deserves. Follow Amazon on Streamz of GreatBuyz to stay updated with their latest news, sales and offers and more. Here is a mattress brand that uses only internationally certified materials for both foam and fabric. The foam is certified by CertiPUR-US and the fabric is certified by OEKO-TEX®. And while quality is taken care of, design and comfort is uncompromised as well. They have the most cutting edge and transparent design that offers 4 unique layers. 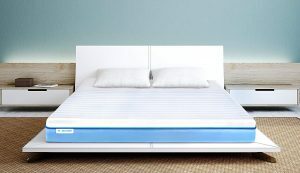 The top most later is removable and comprises of a breathable mattress cover made of bamboo fiber that is easy to wash; underneath lies a cool gel memory foam and a high density support foam that ensures you enjoy a comfortable and uninterrupted sleep while the lowermost layer is a non-slip base layer that offers optimal support and temperature control. Their memory foam is the thickest available in the market and they offer a 100 day trial where you can claim a full refund in case you don’t like the mattress within 100 days. Over and above this, the manufacturer offers a 10 year warranty. Wink and Nod mattresses are not only made of non-toxic materials, they are well researched and created to ensure a sound sleep promoting good health and well-being. They have only two products catered to the needs of the Indian customer – One is a medium soft mattress for general buyers and the other is a medium firm ortho-mattress meant for people with a back pain. Flomattress was born after 2 years of intense R&D to cater to an issue that many in India care about, their backs, comfort and low cost. After all about 80% of adults experience back pains athttps://flomattress.com/products/flo-mattress? ?aff=3 some point in their lives and who would not want to give their back a break! Foams infused with white gel micro-capsules that absorb heat from your body and then release it away from your body via their 3D airflow fabric, so you sleep cool. Temperature sensitive memory foam: Improves blood circulation through the night and reduces tossing and turning by up to 80%. They have 2 variants the Ergo for those who prefer a softer ergonomic support and the Ortho for those who want extra back support. The icing on the cake in this case the mattress, is that it comes with a high-quality cashmere fabric infused with aloe vera gel to keep your skin hydrated. it being a direct to consumer product the pricing is very pocket-friendly. Know more about Flomattress here. Imagine having the liberty to choose between sleeping on two different surfaces on any given day – medium soft or medium firm. This Dual Comfort Mattress comes with both sides being usable surfaces. Opposite surfaces have opposite feel in terms of hardness. One side is medium firm and the other is medium soft. This feature is a fantastic option, especially when there is a change in season. During summers, you can opt to rest on the softer side and winters call for a cozy sleep on the hard side. Your search for a soft spring mattress in an affordable range ends here. With over 25 different size options to choose from, you have the liberty to pick up the one that best suits your need. 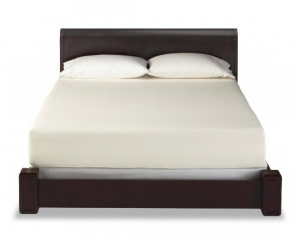 With a 10 year warranty, it is most certainly a must have, especially for your guest room. The mattress construction comprises of individually Pocketed Inner Springs that absorb weight and compress independently which make the mattress comfortable for you and your partner. The mattress is hypoallergenic, mite-proof and phthalate free with a soft cover for a luxurious feel. Find the Latest Coupons & Discounts on the Best Mattress Brands here. Available on a 100 night risk free trial, this mattress comes with Memory Foam. 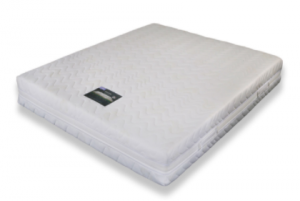 The mattress is designed to evenly distribute body weight and it is sure to sink in comfortably where one presses it molding it exactly to the body shape. These mattresses also have orthopedic features as they support the back/spine alignment relieving pressure/pain points. Made using the right amount of firmness and with the right amount of density and bounce, this super comfortable mattress from Sleepyhead Mattress is nothing less than a revolution in the category of mattresses. With a washable outer cover you can relax just incase there are kids around who you fear would spill something on it. Made up of super comfortable and flexible foam, it comes in a box and you can unpack it all by yourself. The mattress is super sturdy and apt for those who need to shift houses and live in rented apartments. Order online at your convenience and have it delivered to your doorstep. And just in case you are not happy with its performance, don’t worry. You can return the mattress in 100 days. A fantastic option for a perfect sleep that will let you wake up all bright and fresh! It has an innovative visco-elastic layer that gets refreshed with human touch, cool gel foam that has millions of thermo-active gel capsules and these have the ability to lower the temperature of the body part that comes in contact with it by up to 4 degrees! Pick it up a zero per cent EMI and in case you aren’t satisfied with it, feel free to return it within 100 days. Sunday Latex Plus 3 Mattress is designed using material sourced from Belgium and it adheres to European standards. Forget about disturbing your partner as you move on the mattress to get up or turn around as it comes with a zero disturbance feature. It has a fantastic plush feel but isn’t too soft which makes it extremely comfortable to sleep. The removable zipper cover is perfect for maintaining it. The name here speaks for itself. Divinity! The mattress promises to let you experience the feeling of sleeping on top of a fluffy cloud. Springwel Divinity Mattress is enriched with advanced temperature-sensitive memory foam. 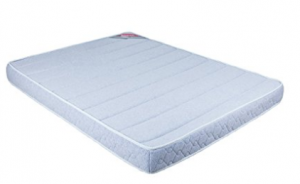 Its pressure relieving memory foam slab works in perfect integration with its core structure of pocketed springs, added with superior comfort and support layers. 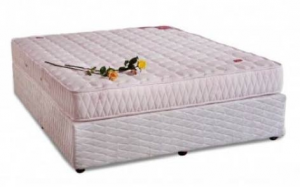 The mattress comes with a luxurious knitted fabric with chain stitched quilting and it has individually covered pocketed springs and a high density rubberized coir sheet. 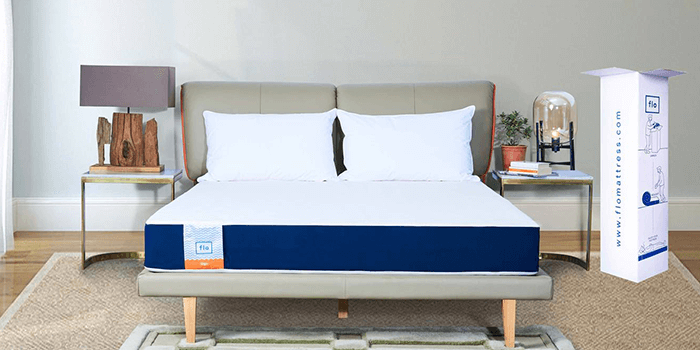 this mattress is made using a combination of Hush’s propriety ThermoAdapt™ memory foam and two different densities of High Resilience PU (polyurethane) foam. The different layers, contours and posture zones have been designed to keep the mattress ventilated. With a 9 inch thickness, the mattress is perfect to let you experience sleeping on top of the world. We conclude with sharing an option where you can design your own mattress! This is how far the mattress industry has reached in India where you have the comfort of sitting at home and calling all the shots to have a perfect mattress for yourself – from the foam to the fabric! Just in 5 simple steps you can get yourself a perfect mattress that is customized as per your instructions. Just choose the right size and the support and comfort layer of your mattress and cover it up with a fabric of your choice. And voila! You have your mattress your way! From a mattress that is especially designed to take care of your back to one that promises you a cozy sleep, there is an option for any specific need that you have. With majority of them offering a 100 day trial period and easy return option, go ahead and gift yourself a good night’s sleep!